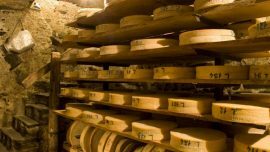 The origin of Grana Padano DOP cheese begins during the eleventh century, when the Cistercian monks started the reclamation and irrigation of many lands of the Po Valley, in particular those between the Ticino and the Adda rivers. Since then, these lands are suited to the breeding of dairy cows and the landscape is made up of stable and forage meadows. 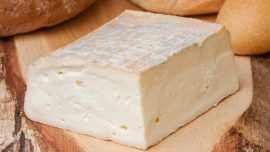 The sudden rearing and the consequent need to preserve the large amount of milk produced stimulated the birth of Grana Padano. 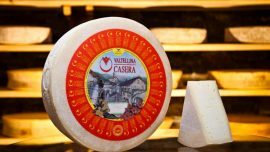 The production was later extended throughout the Po River Valley, but the characteristics and the flavor of this cheese is remained almost unchanged over the centuries. 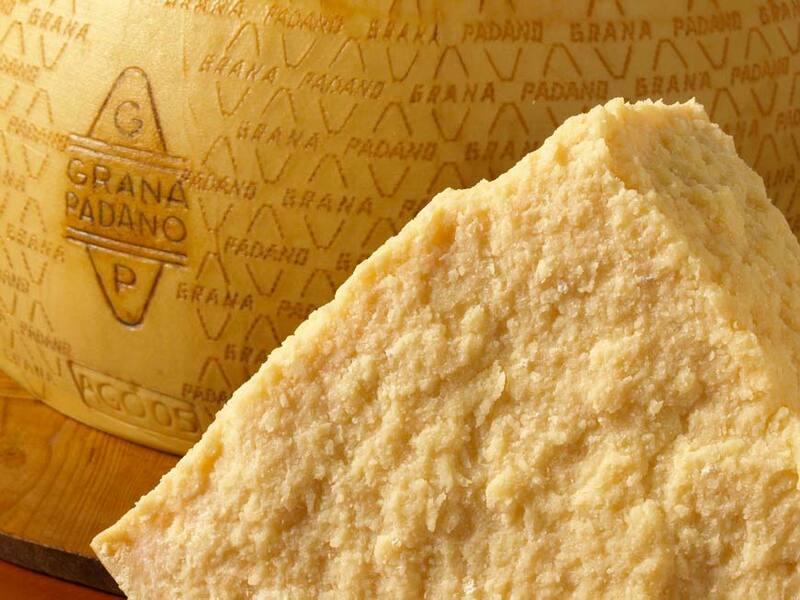 Grana Padano is made from unpasteurized, semi-skimmed cow’s milk from two milking and generally aged for two years. The rind is hard, smooth and thick, dark yellow. 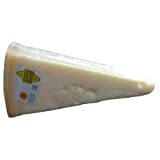 The paste of pale straw-yellow color has a fine granular texturem infact Grana means “grainy”. The aroma is fragrant, strong flavor, but at the same time delicate, never spicy. It has different ripening stages: Grana Padano (9 to 16 months), Grana Padano oltre 16 mesi (over 16 months) and Grana Padano Riserva (over 20 months). Ripening time: 12 to 24 months. Shape: cylindrical mold; average weight approx. 35 kg ca. Production area: just in 15 provinces, among whic those in Lombardy: Bergamo, Brescia, Milano, Lodi, Pavia, Mantova, Cremona. 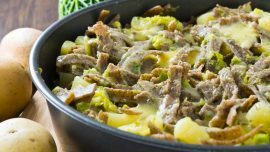 Grana Padano: a unique flavour! Just the original!